Innovation is part of the BRAC DNA. From oral rehydration therapy to one-room schools, we are constantly looking for ways to push past the conventional wisdom of what is possible. 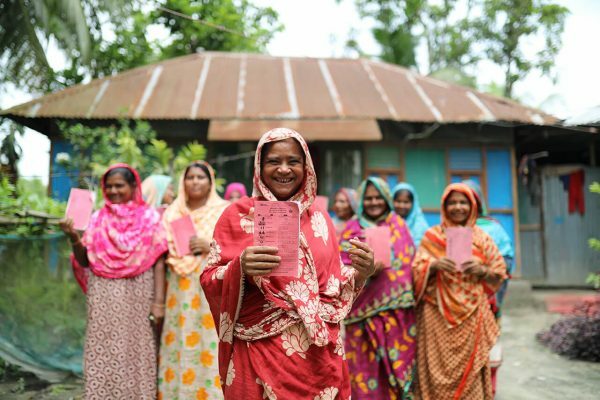 The introduction and rapid growth of mobile money in Bangladesh has created opportunities for new solutions to poverty. Last year, with the support of the Gates Foundation, BRAC implemented several pilots incorporating mobile money as part of their design. A recent video from one of the projects, working on a ‘cashless’ branch in remote char areas, illustrates some of the early achievements of the project. 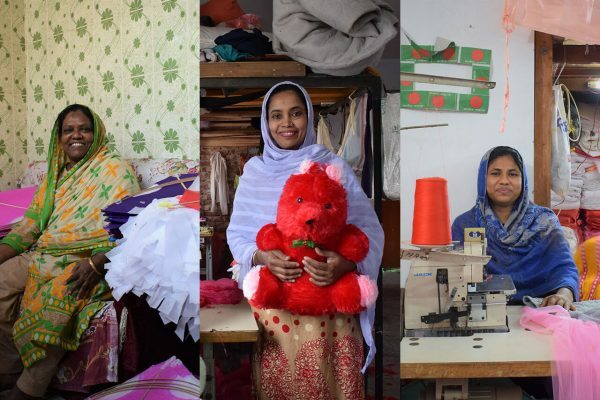 Interest and medical bill disbursement for Rana Plaza survivors: Currently, 330 victims of the Rana Plaza factory collapse receive interest against fixed deposits and free healthcare service from the disaster, environment and climate change programme. Receiving these benefits via mobile money will save them a trip to our branch office, and enable us to manage this centrally. Digitalising Microfinance Transaction: In 2012, BRAC microfinance programme piloted the option of allowing clients to make savings deposits via mobile money. This year, they are expanding this facility to an estimated 800 additional branches and will also pilot loan instalment and other financial services over mobile money. Sanitation loan in hard-to-reach areas using mobile money: BRAC’s water, sanitation and hygiene programme provides a sanitation loan in hard-to-reach areas. To reduce the cost and time, and increase efficiency, this time they will provide the sanitation loan using mobile money. Digitalising lunch tokens using mobile money: At the BRAC Head Office, many staff eat lunch in the canteen and purchase their tickets from office assistants using cash. One office assistant suggested that creating a digital lunch ticket system would be much more efficient for all, and BRAC’s finance and accounts department plans to develop it. Mobile allowance disbursement using mobile money: Many BRAC field staff receive a monthly allowance (in cash) for airtime purchases on a prepaid mobile phone. Now that bKash has introduced free airtime purchases, BRAC’s finance and accounts plans to digitise all mobile allowance payments. Adolescents savings and financial education: The education programme will continue to work with its adolescent clubs to encourage the habit of mobile savings among its youth club members. Nearly cashless branch: In 2014, this project run by the integrated development programme strove to shift from cash to mobile money across a range of transactions, including mobile allowances, payments to extension workers, and loan collection. This year, this project aims to extend these services to other branch offices in the area. The BRAC Social Innovation Lab, which is managing this Innovation Fund, is particularly excited by the participation of BRAC’s frontline staff in the idea challenge. 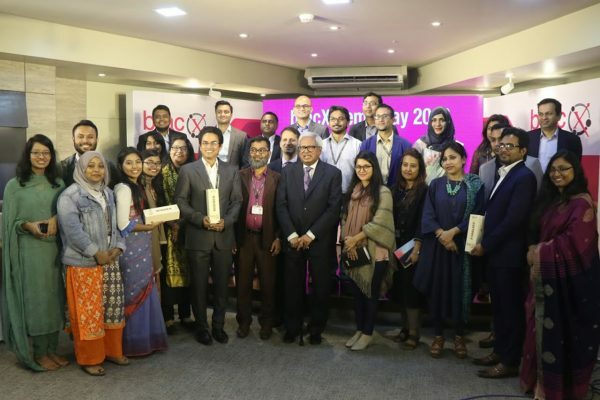 Our shortlisted ideas came from 19 staff, from all corners of Bangladesh, all united in their belief in BRAC’s responsibility and potential to innovate. 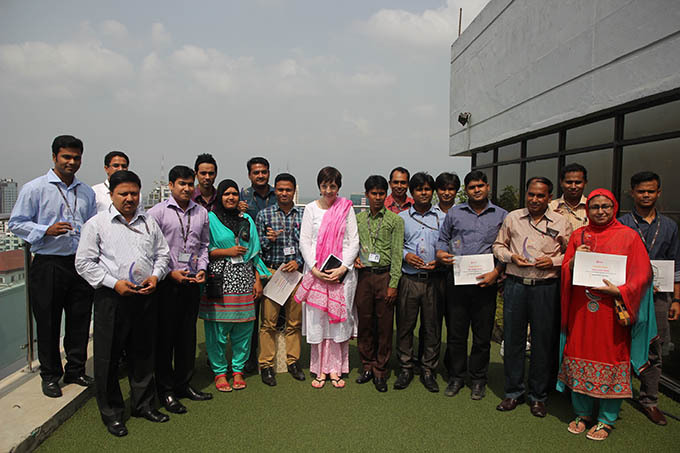 They received awards from BRAC’s chairperson, Sir Fazle Hasan Abed, on May 31. Through these projects, BRAC hopes to be a pioneer in how this can actually be done—leveraging our core principles of innovation. Awesome. That is the summary of all this. I read between the lines and I see passion, innovation, relentlessness, ‘nobody left behind’ kind of approach. I love it. Thanks for sharing.